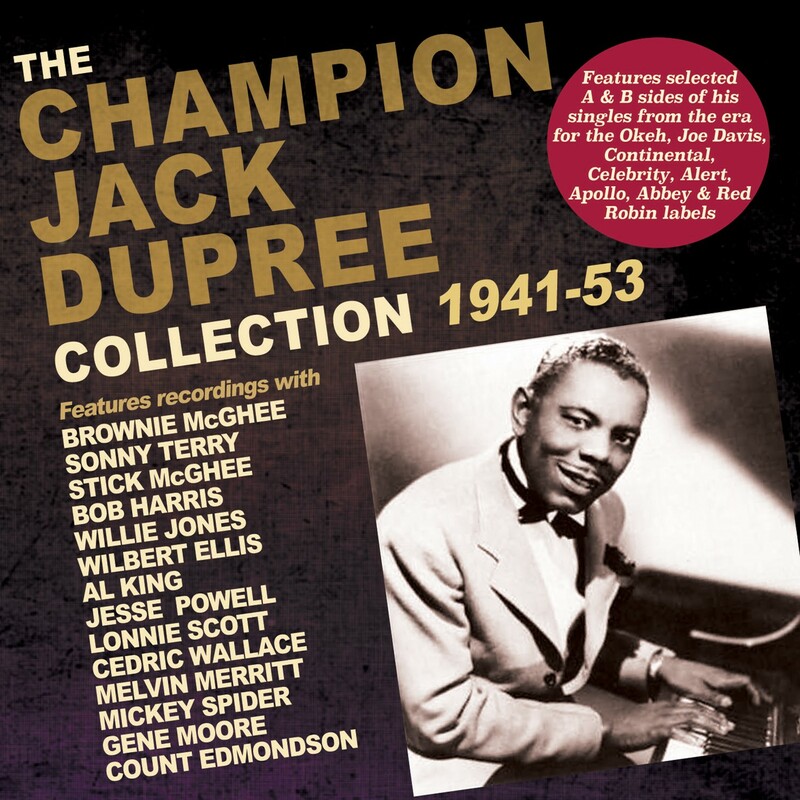 Even in a genre known for some larger-than-life personalities, Champion Jack Dupree was one of the most colourful characters in blues in the post-war era, a blues and barrel-house pianist and singer, who flirted with a boxing career alongside his music during the '30s, the origin of the 'Champion' nickname, before starting to perform and record in Chicago in the early '40s. Orphaned as a child, and brought up institutions, his songs often painted the familiar bleak low-life landscape of drugs, prison and personal strife, but he did it with an extrovert rough-hewn approach and a humorous way with lyrics which soon made him popular, although there was a career hiatus during WWII when he served in the US Navy and was a Japanese POW. 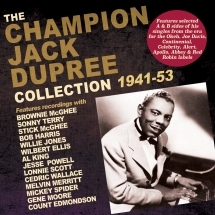 After the war he hooked up in New York with guitarist Brownie McGhee, and many of the later recordings in this anthology feature his work with McGhee, often working in different line-ups of small bands, the later ones also including McGhee's long-time harmonica-playing associate Sonny Terry. This great-value 52-track 2-CD set comprises selected A & B sides from the forty or more records which he released, with at least one side of each release represented. They come from releases for a bewildering array of record labels - Okeh, Joe Davis, Continental, Celebrity, Alert, Apollo, Abbey & Red Robin - reflecting the chequered nature of some blues artists' careers. In subsequent years he became a popular fixture on the European blues scene, settling for a while in the UK. This substantial trawl across the first decade and more of his career includes many examples of blues music as one of the bedrocks of rock 'n' roll, and provides an entertaining showcase for a distinctive personality of the blues.